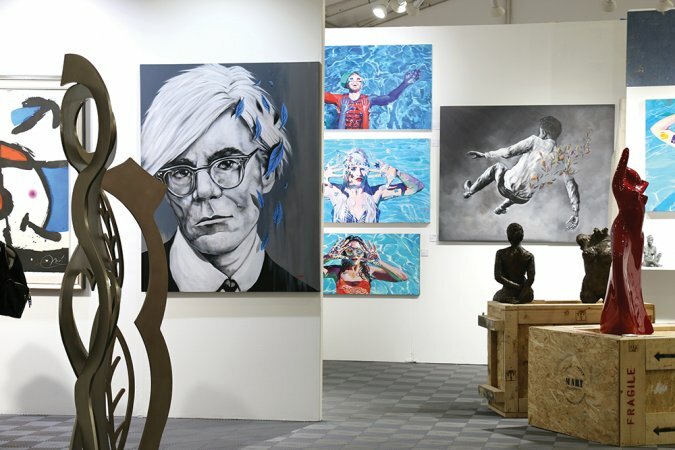 Redwood Media Group, the nation’s leader in exhibitions and event production, media, and marketing for the global fine art community, announces its highly anticipated five-day annual showcase during this year’s Miami Art Week, taking place Dec. 6–10, in the heart of Miami’s Arts & Entertainment District. The annual Opening Night Preview Party for Spectrum Miami and Red Dot Miami will take place from 6 to 10 p.m. Wednesday, Dec. 6, at 1700 NE 2nd Ave. and will feature innovative contemporary art from over 100 galleries and artists, live fashion, cocktails, and DJ entertainment. Tickets for the Opening Night Preview Party are priced at $50. General Admission tickets for Spectrum Miami and Red Dot Miami are $25 for one day and $75 for the Opening Night Preview Party with a five-day pass. Tickets grant access to Spectrum Miami, Red Dot Miami, and ArtSpot Miami. A percentage of all ticket sales benefit Life Is Art, a Miami-based charity. For further information on the shows or to purchase tickets, please visit spectrum-miami.com, reddotmiami.com, or artspotmiami.com. For more information on Redwood Media Group, visit redwoodmg.com.